My shifter (Mazda 5, 2007, manual transmission) started making a crunching noise and became fairly loose -- it still shifts ok, but clearly something isn't right. I opened the shifter housing and found what looks like a ring/bushing surrounding a metal sphere/rod. It seems like the purpose of this part is to keep everything in alignment, but the part is pretty much destroyed. It looks like a $1 or $2 part, but I have no idea what it's called to try to find a replacement. 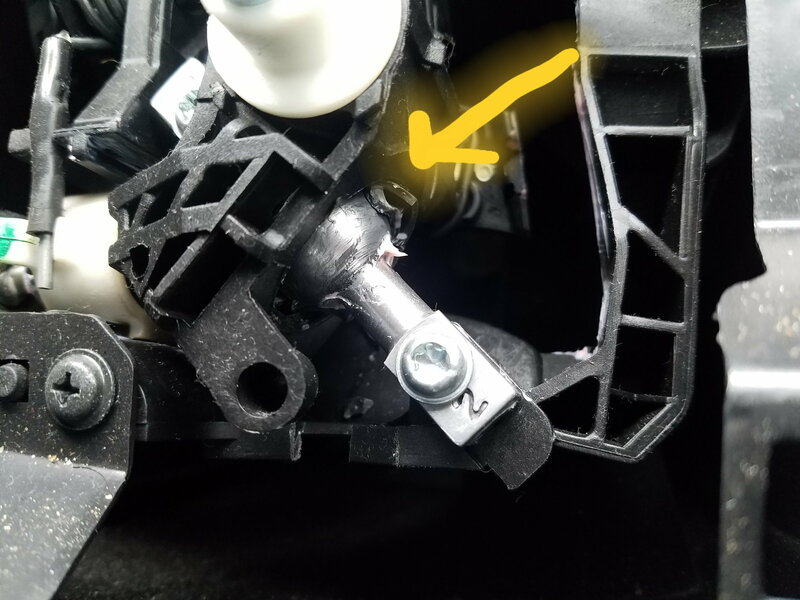 Anyone know what the part is called from the pics, or and have a suggestion where to find a replacement? Go to the wreckers & buy a replacement shifter assembly. 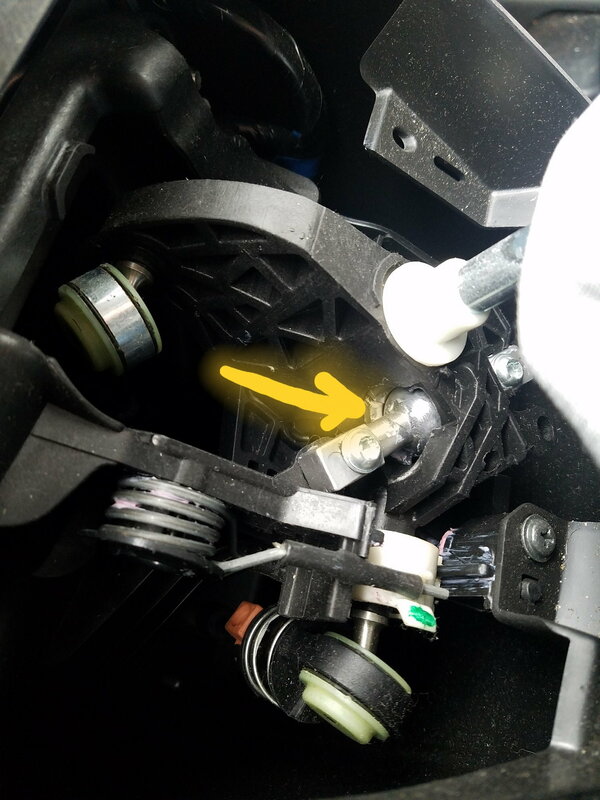 Help finding a part or part number? Mazda5 Axle - Is it a Ford Part? Quick Reply: What is this shifter part?